A . 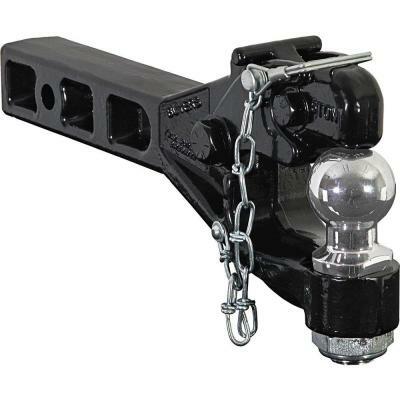 6-Ton Receiver Mount Combination Hitch • Single piece drop forged lower jaw is designed with an integral shank to fit 2” receiver tubes. • Black powder coat finish. • Drawbar Eye Dimensions- 2 1/2” to 3” I.D. with 1 1/4” to 1 9/16” diameter section • Individually boxed with instruction sheet and capacity decals. B. 5-Ton Receiver Mount Pintle Hook • Single piece drop forged lower jaw is designed with an integral shank to fit 2” receiver tubes. • Black powder coat finish. 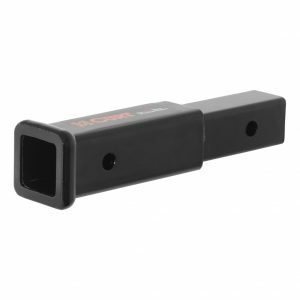 • Drawbar Eye Dimensions- 2” to 3” I.D. with 1 1/4” to 1 5/8” diameter section. • Individually boxed with instruction sheet and capacity decals. C. 8-Ton Combination Hitch • Drop forged. • Black powder coat finish. • Forged steel ball. • Interchangeable hitch balls. • Drawbar Eye Dimensions- 2 1/2” to 3” I.D. with 1 1/4” to 1 9/16” diameter section. • Individually boxed with drilling template and capacity decals. D . 10-Ton Combination Hitch • Drop forged. • Black powder coat finish. • Forged steel ball. 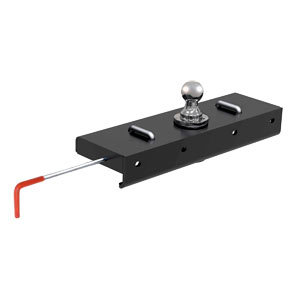 • Interchangeable hitch balls • Drawbar Eye Dimensions- 2 3/8” to 3” up to 1 9/16” diameter section. • Individually boxed with drilling template and capacity decals.